Has a friend or family member been arrested or said they were going to jail? It is helpful if you have their right name, birth date, and county where they have been arrested. If you don’t have this information, we can still help you. Our Bail Bond Agents can assist you in any count in the United States. Our phones are answered by licensed bail agents 24 hours a day, 365 days a year. You can be comfortable talking with an experienced and knowledgeable professional about your situation and the best way to resolve it. We understand the bail process and realize that not everyone owns property or has the credit to qualify for a bond. We consult with each person to find arrangements that work best. 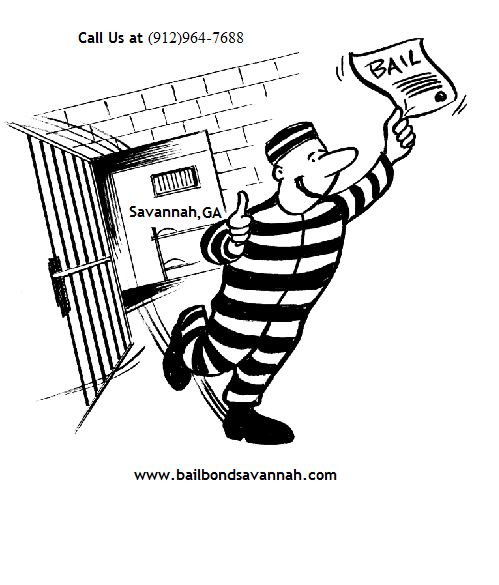 Savannah Bail Bonding for a quick jail release in Savannah,GA. Savannah Bail Bonding is the premier bail bonds agency in Savannah/Garden City providing fast, friendly, confidential, professional bail bond service. For A Quick Release, Blonde Bonder, I’M Not at the Front Door, But We Make House Calls! Se Habla Espanol, Call ME First!, Lowest Fees in Town. Savannah Bail Bonding provides you and your loved ones with fast, dependable and confidential 24-hour bail bond services. From driving violations to serious felonies, we are here to help get you out of jail fast. Savannah Bail Bonding’s staff is friendly and non-judgmental, treating you with respect during your troublesome times. So if you or a loved one get into trouble and need help making bail, call the professionals at Savannah Bail Bonding today for quick ,quality and dependable service with fast results! Call us at (912)964-7688 or visit our conveniently located office at 618 Hwy. 80 Garden City Georgia. Bail Bonds in Springfield, Statesboro and Savannah, Georgia.